“Health is an integral part of India’s growth and it is hence, imperative for the central and state governments to prioritise non communicable diseases (NCDs) and work in a more coordinated manner,” said V Selvaraju, secretary, Indian Health Economics and Policy Association (IHEPA) on Wednesday. Selvaraju spoke at a round table conference in New Delhi. It was attended by public health experts, economists, patient groups and hospital administrators to discuss innovative mechanisms for improved healthcare coverage and financing. He added that effective rationalisation of resources is required for better leveraging of health funding. 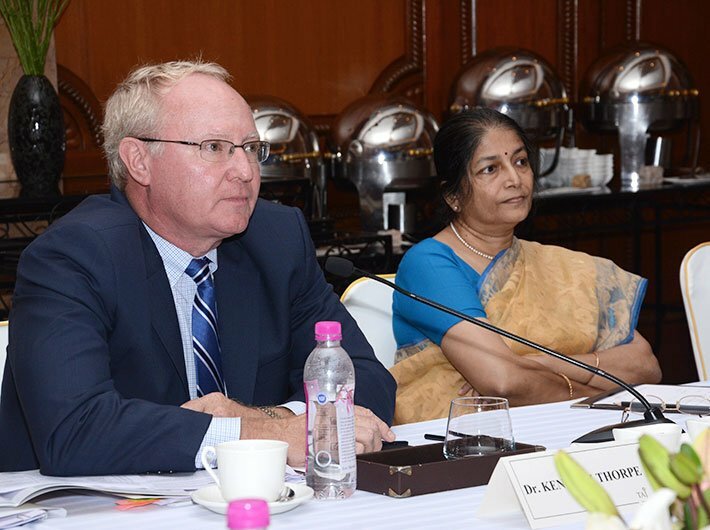 Highlighting the need to focus on NCDs in India, Dr. Kenneth Thorpe, chairman, partnership for fight against chronic diseases, said that NCDs result in lower productivity and lost economic output. Also, investing in prevention, primary care and coordinated care in India will improve health and increase economic growth. “Government needs to create a roadmap for educating individuals about lifestyle disorders increasingly impacting health. Investing in health and education improves health outcomes and life expectancy,” he said. Thorpe added that each 10 percent improvement in life expectancy at birth is associated with a 0.3 to 0.4 percentage point increase in GDP.